The Let Me Love You singer is embarking on a new tour to promote his album R.E.D. - and can't wait to head to Blighty. He told The Sun: "I love performing in the UK. It's an audience with an energy that's all their own. "There's a couple of spots we're doing that I've not been to in a long time, so I'm looking forward to it." 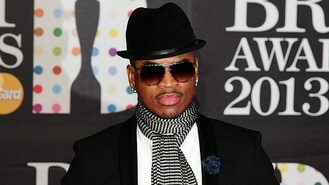 Ne-Yo - who has collaborated with UK stars such as Conor Maynard and Cheryl Cole - said he was especially looking forward to a couple of venues. "You can't beat the O2 - it's always a good time. I've also performed in Wimbledon before - that was an experience in itself. It was insane," he said. But the singer confessed he won't get much time off to party. "It's normally all business. Every now and then I get a little taste of the nightlife."